A new Google Earth generated heat map shows the most photographed locations on Earth. 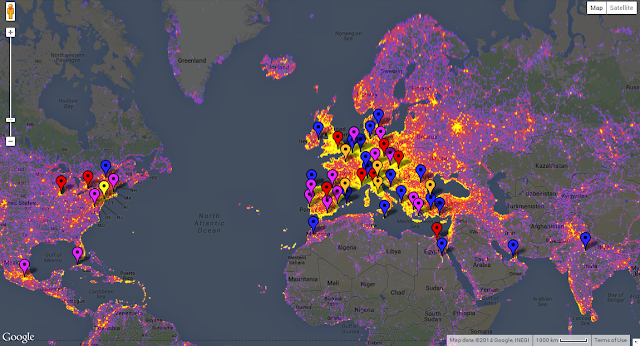 The map accounts for the top 15,000 most photographed locations in Google Panoramio, where users can submit geo-tagged photographs for inclusion in Google Earth. Each location is linked to the original images on Panoramio, Google’s Street View, Wikipedia, Google search, TripAdvisor search, and other online resources like a route planner. Click to show 50 places and you'll see Rovinj and Split. Click to show 100 places and you'll also see Bled, Plitvice, Mostar, Belgrade, and Dubrovnik.